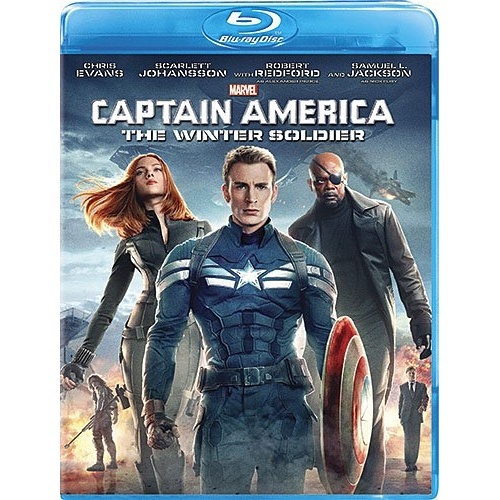 From the studio that brought you the #1 Super Hero movie of all time, Marvel's The Avengers, comes Marvel's Captain America: The Winter Soldier, the global phenomenon that teams Captain America (Chris Evans) with the Black Widow (Scarlett Johansson) and a new ally, the Falcon (Anthony Mackie), in a must-own, epic blockbuster! On The Front Line: An Inside Look At Captain America's Battlegrounds - Dive into the movie's epic clashes and see Cap unleaded in ways you've never seen before. On Set With Anthony Mackie: Cut The Check! - Uncover the meaning of Actor Anthony Mackie's now infamous catch phrase, "Cut the check!" Steve Roger's Notebook - Steve keeps a notebook to jot down events and bits of pop culture he's missed. Take a peek at localized versions of his list, created with the help of fans around the world. 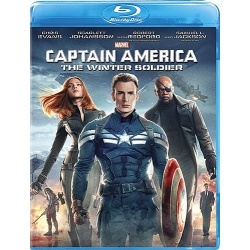 Audio Commentary with Director Anthony and Joe Russo, and Screenwriters Christopher Markus & Stephen McFeely.